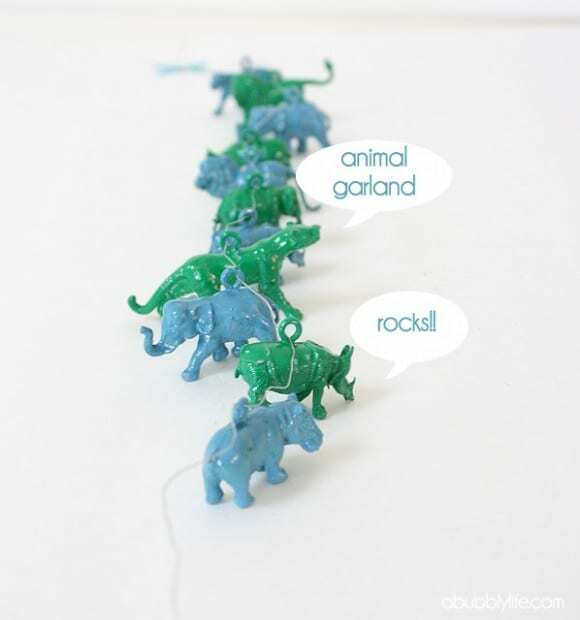 Laurel Stavros from A Bubbly Life, was inspired by this post on Curbly to use little plastic animals to make a garland for a jungle baby shower she threw. How clever an idea!! First, Laurel used a power drill (an exciting moment in her life!) 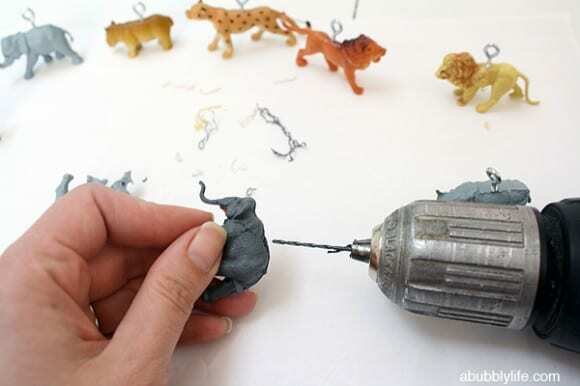 to drill a hole in the middle of the animal, then screwed in an eyelet. 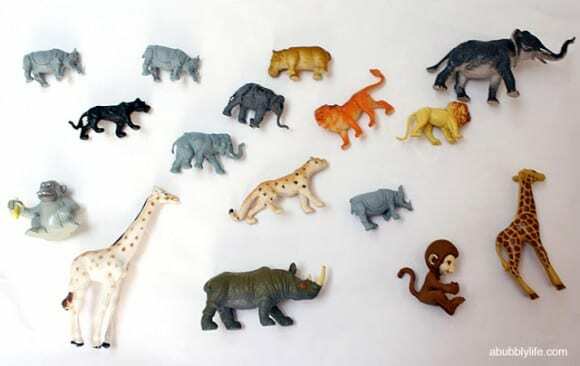 Next she spray painted her animals, two coats or more were needed. 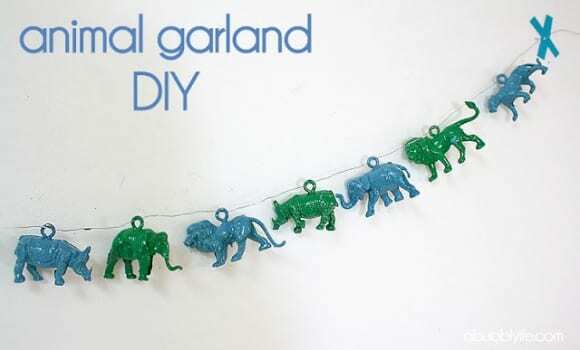 To hang the garland, she used thin wire so that the animals would stay in place. And look how great it turned out! And here's the garland in action at the baby shower she threw! 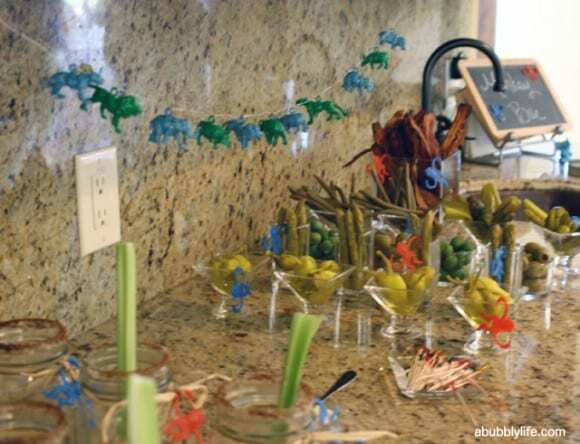 Thank you, Laurel for letting me share your ingenious idea and adorable garland! To learn more about Laurel and read about all her crafty mommy adventures, head to her blog, A Bubbly Life.